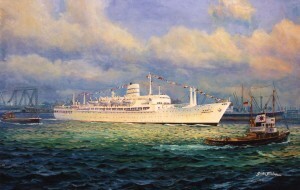 Painting By Gordon Frickers, marine art, 50 x 81 cm (20″ x 32″), Oils, painting was a commission. 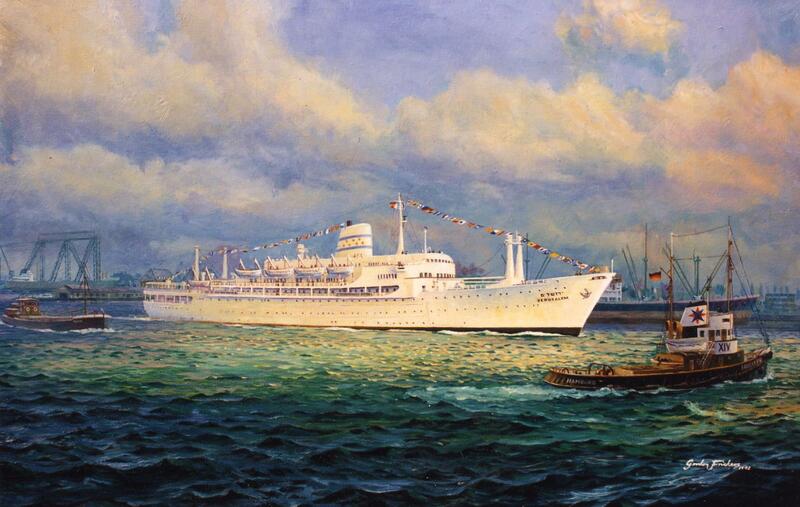 Painted as a gift for the President of Zim line, this fine picture recreates the departure of the liner ‘Jerusalem’ from Hamburg where she was built. Simply, securely; to place a deposit or payment on our Payment page to commission your own Gordon Frickers original painting.